Nationality: Austrian. Born: Oskar Joseph Bschliessmayer in Vienna, 13 November 1922. Education: Attended Realschule, Vienna. Family: Married 1) the actress Elisabeth Kallina, 1946 (divorced 1950), daughter: Eleanore; 2) Anne Power, 1954 (divorced), one son. Career: 1940—joined the Burgtheater, Vienna; 1941–45—drafted into the German army, but managed to continue acting until 1944, then wounded; 1945—resumed acting career at the Burgtheater: roles in Le Misanthrope , El mayor encanto amor , and Egmont ; also director; 1947—began regular appearances at the Salzburg Festival; 1948—film debut in Der Engel mit der Posaune ; 1951—U.S. film debut in Decision before Dawn ; stage roles in Hamlet in Frankfurt, and Don Carlos , Beckett , and Candida in Vienna; 1959—founded the Theater Ensemble Oskar Werner; 1961—producer and director at the Innsbruck Festival. 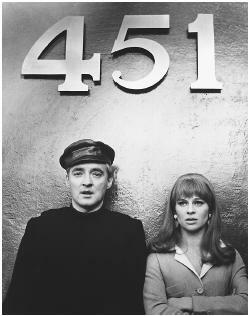 Awards: Best Actor, New York Film Critics, for Ship of Fools , 1965. Died: In Marburg, Germany, 23 October 1984. "Mistress Cinema," interview in Films and Filming (London), November 1966. Mazura, Margarethe, Oskar Werner: Maske, Mythos, Mensch , Vienna, 1986. Dachs, Robert, Oskar Werner: Ein Nachklang , Munich, 1988. Obituary in New York Times , 24 October 1984. "Austrian Stage and Screen Actor Oskar Werner Dies in Germany," in Variety (New York), 31 October 1984. Obituary in Revue du Cinéma (Paris), January 1985. Hairapetian, M., "Charmant, besessen, unbestechlich," in Filmwaerts , December 1992. Oskar Werner once stated that "I don't like films, I only do it for the money. I'm married to the theater, films are only my mistress," so it is not surprising that theater played a considerably larger role in his life than cinema. At 18 he joined the Burgtheater in Vienna, the Austrian equivalent of Britain's Old Vic, and soon made a considerable mark, playing in over 50 productions before being drafted into the army in 1941. After the war he became something of a German stage idol, and also turned his attention to films. His first major screen role, in Angel with a Trumpet , brought him to the notice of Anatole Litvak, and he was hired by Twentieth Century-Fox to play in Decision before Dawn as a conscience-stricken, anti-Nazi German prisoner of war who volunteers to spy for the Allies behind enemy lines. But, Hollywood had nothing of interest to offer him after this and he returned to Europe. His Hamlet in Frankfurt in 1953 was regarded as one of the great interpretations of the time, and assured Werner a key position in the postwar German theater pantheon. He was sometimes referred to as the Laurence Olivier of the continent, and in 1959 he founded his own theatrical troupe, the Theater Ensemble Oskar Werner. Having achieved the status of an international film star, Werner nevertheless made only a few more films— Interlude , The Shoes of the Fisherman , and Voyage of the Damned —none of them especially interesting or really worthy of his talents. He also appeared in an episode of Columbo . He is reputed to have turned down more than 200 film parts. The increasing rarity of his film (and, for that matter, theater) performances can perhaps partly be ascribed to his frequent quarrels with film and stage directors, and to the fact that in the last ten years of his life, plagued by alcoholism, he lived the life of a virtual recluse. A perfectionist. A truly great actor. I mourn his loss. Good article.